Located on the Todd River and only a few minutes' walk from the town centre, galleries and cultural precinct. Barra on Todd Restaurant and Bar offers distinctive cuisine and delectable dishes seasoned with local flavours. We offer 139 comfortable, spacious rooms including refurbished Standard and Superior rooms with stunning imagery of the Red Centre. Deluxe category rooms overlook the Todd River from a private balcony. All rooms offer complimentary fast wi-fi and parking. 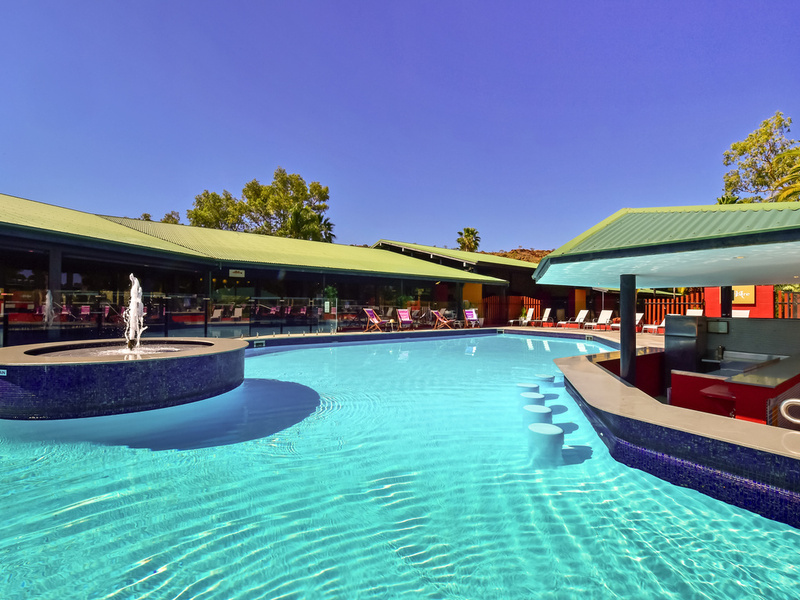 Alice Springs, in the physical and spiritual heart of Australia's Red Centre, is a town of arts, events and culture. It's a great base for exploring surrounding natural attractions including Uluru, Kings Canyon, the MacDonnell Ranges and Larapinta Trail. Relax and enjoy the comfort of our guest rooms featuring double or twin bedding, ensuites with walk in showers, work desk, flat screen TV, free WiFi, in-room safe, tea and coffee making facilities, room service and natural light. The Barra Bar has an extensive list of fine wine, cocktails as well as Australian and imported beer. It provides the perfect setting for a morning meeting with an espresso, relaxing afternoon using free WiFi, pre dinner beverage or nightcap.